Pigmentations are often caused by sun exposure, pregnancy and some medications. Whatever the reason, pigmentations on the face, hands and body can be significantly reduced and even fully removed with our PicoSure FLA or RevLite Laser systems. 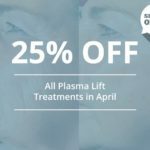 The PicoSure Focus Lens Array is the most advanced laser treatment on the market – and Andrea Catton is delighted and proud to be offering it. 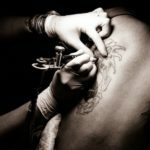 Originally designed for tattoo ink removal, this state-of-the-art technology has expanded beyond its original concept and now offers various skin treatments, including those for pigment removal. 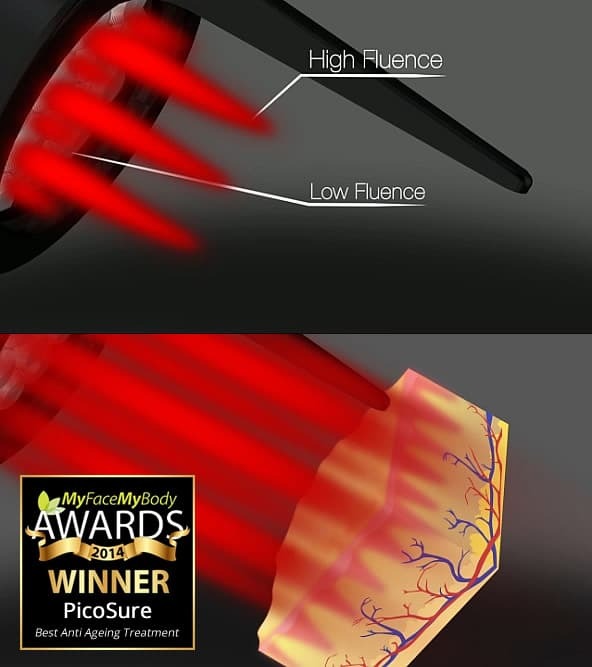 PicoSure is brand new FDA-cleared technology and we have witnessed first-hand stunning transformations with our patients – for us, PicoSure has revolutionised pigmented lesion treatments, forever. 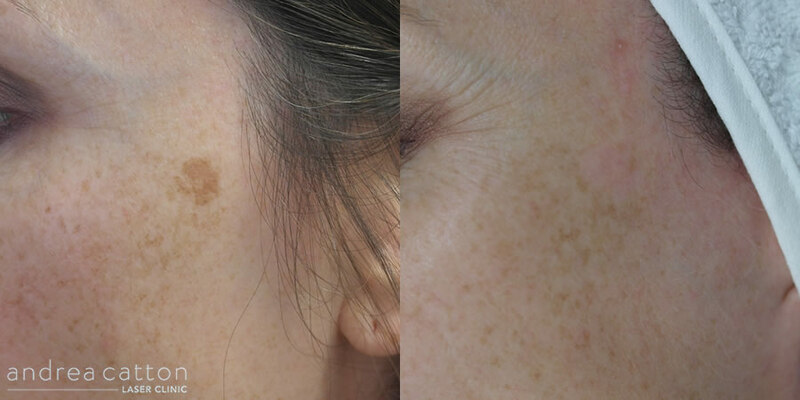 RevLite is an additional, highly effective pigmented lesion laser treatment that we offer our patients. The average cost of RevLite treatment versus PicoSure is cheaper however the results can be just as effective – depending on its application. RevLite is proven effective on dermal and epidermal pigmented lesions and it can be used for the smallest pigmented lesions at very low fluences, for maximum safety. Some of our customers prefer RevLite to PicoSure, however what’s right for you will depend on the pigmentations to be treated. Laser pigmentation removal can be performed on any healthy area of the body. This includes the face, head, neck and throat, shoulders, back, backside, bikini line, arms, under arms, legs and feet. On some areas of the body with thicker skin, such as the backside, a more extensive laser treatment plan may be advised. 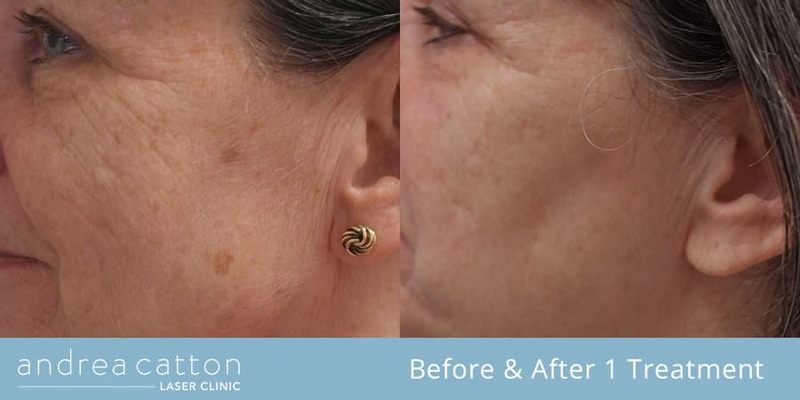 Many of our patients see results after just 1 treatment (as can be seen in the before and after image). The average number of treatments required for partial removal is 1-2, while for complete removal this increases to 3-5. 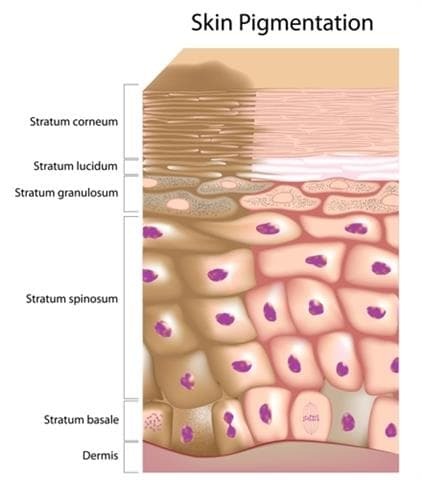 How many treatments you will require depends on the level of melanin pigmentation and where your pigmented lesion is located – as well as what type of pigmented lesion you have. Most patients can reasonably expect at least 3 treatments performed 4 – 6 weeks apart for age spots, while 10 low intensity treatments may be needed for sun-exposed areas. Sessions can last anywhere from 5-30 minutes, depending on the size of pigmentation. Like all cosmetic surgeries, there are side effects to consider with laser pigmented lesion removal. Side effects can include blistering, bleeding, burns, crusting, hyperpigmentation, hypopigmentation and scarring. The treatment may feel mildly uncomfortable with a warm and mild tingling sensation. The area may go red so if required, a soothing gel can be applied. Depending on the pigmented area it can be normal for scabbing to occur and once this has healed the skin will be paler underneath. It all depends on the area and pigmentation – some can disappear in 1 or 2 treatments performed 4 weeks apart. It’s really important to remember to protect your skin from the sun with a minimum SPF30 sunscreen after every treatment.